Now is the time to treat and cure your hepatitis C. Learn how to get started below. VA has cured more than 97,000 Veterans of hepatitis C so far. Join our march toward curing 100,000. Are you a Veteran interested in hepatitis C testing or treatment? Here's what you need to know. VA can only test and treat Veterans enrolled in VA care. If you haven't used the VA for health care before, check out the benefits website to determine if you are eligible and find out how to enroll. If you already use VA for your healthcare, talk to your provider about testing and treatment. VA recommends testing for all Veterans born between 1945 and 1965. Other reasons people should get tested for HCV is if you have ever shared a needle to inject drugs, even if it was only once or a long time ago. For additional reasons to get tested, please take a look at our testing page. 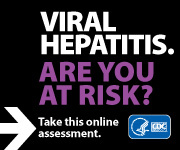 The hepatitis C test is available for all Veterans enrolled in VA Healthcare. The test itself is free, although your usual office visit copays may apply. Ask your VA provider for the test at your next visit. If you have hepatitis C and are interested in the new treatments, please talk to your VA provider today. The new treatments are able to cure most patients in about 12 weeks. There are no injections with the new treatments, only daily oral medications. Your usual office visit and medication copays will apply. Not sure if you are eligible for VA healthcare? Take a look at the VA Benefits website for eligibility information, learn how to apply for health benefits, get answers about copays, or call 1-877-222-VETS (8387) for more information. Some Veterans are concerned that being cured of hepatitis C will affect their service connection or benefits. Please contact VA Benefits for more information.